Another great piece of glass made by Michigan based company Multiverse Glass! This time it is an Inside-Out Chillum. 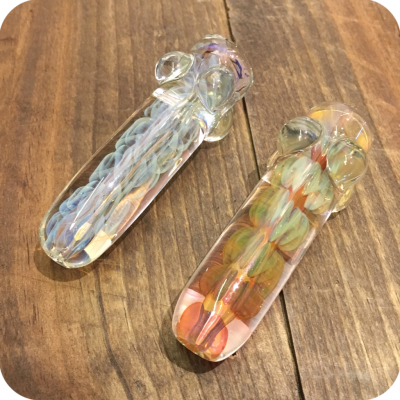 With beautiful colors displayed on a perfectly simple chillum, this piece is truly a work of art. The colors and images within this piece are reminiscent of a psychedelic jellyfish and it is really something to see in person. At a little over three inches in length this piece is small enough for travel, but could also become your go too stay at home piece as well. No matter where this inside-out chillum goes, it’s going to get a lot of jealous looks. 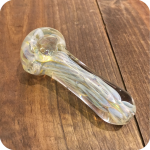 Due to its straight ahead shape and size this piece is very easily cleaned just by running a standard pipe cleaner thoroughly throughout the pipe. It also includes four very convenient bumps around the top of the piece that prevents the pipe from rolling off the table and secures it very nicely. Show this piece some love by keeping it cleaned and maintained and this thing could last you a lifetime! This pipe also pairs quite nicely with some hempwick. Hempwick is a healthier alternative to directly lighting your legal herbs with nasty and potentially harming butane lighters. 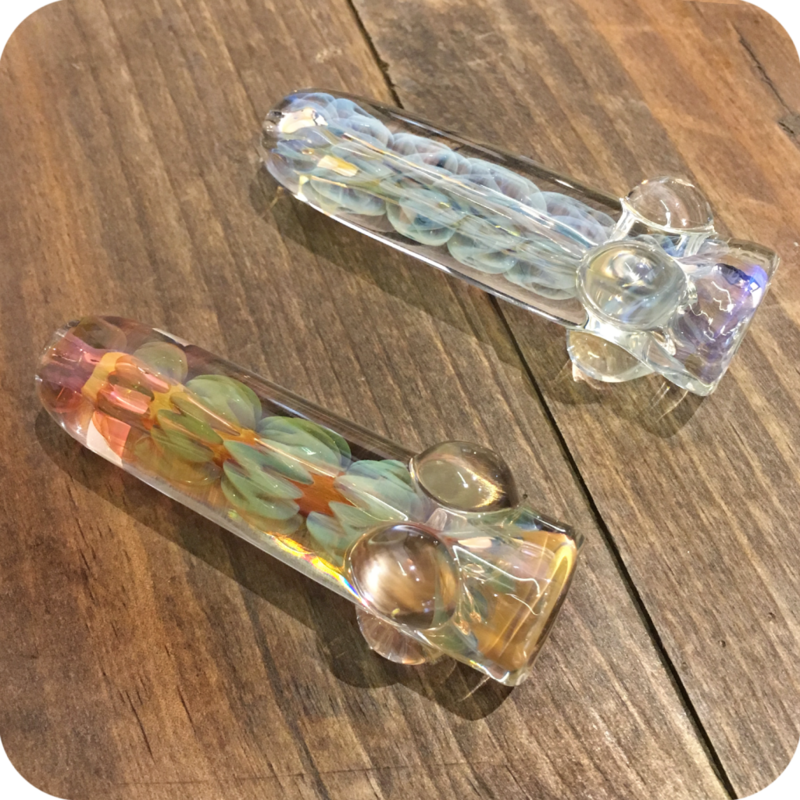 Swing by either Sunflower store location to get set up with this beautiful Inside-Out Chillum, or order online here! Please specify what you color you would prefer. Tags: Brooklyn, brooklyn glass, chillum, glass, glass chillum, multiverse, multiverse chillum, new york city, Sunflower Glass Co, Sunflower Glass Company, sunflower pipes.